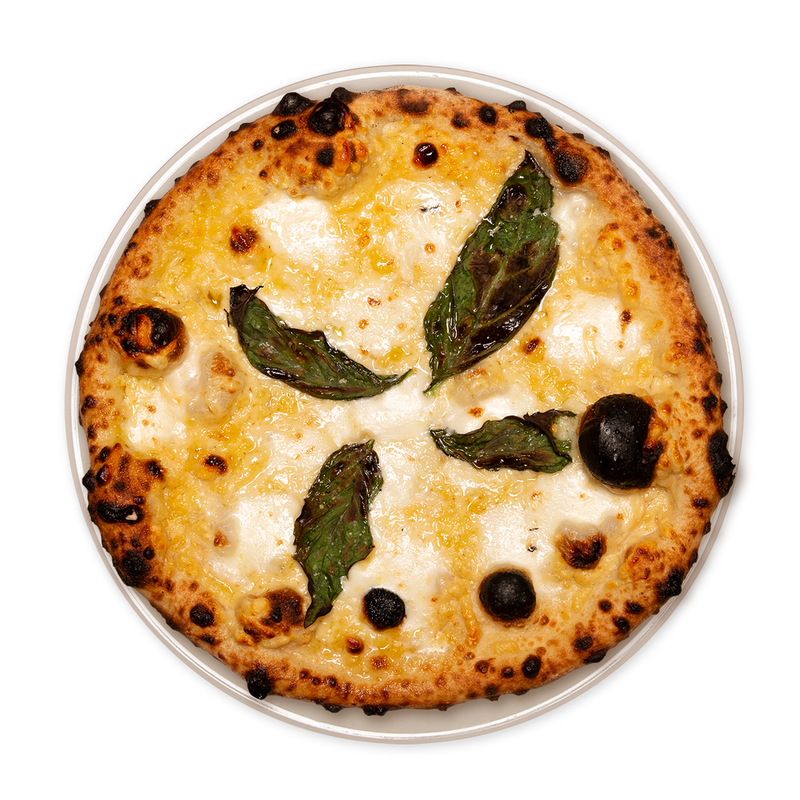 Handcrafted Neapolitan- style pizzas, taught by a VPN certified chef, it is as close to Italy as you can get. All of our pizzas are created with 24 hour fermented dough, covered in hand-pulled mozzarella, and locally sourced ingredients. Gluten-free and vegan meal options are available. We currently do not deliver, call for carry out. 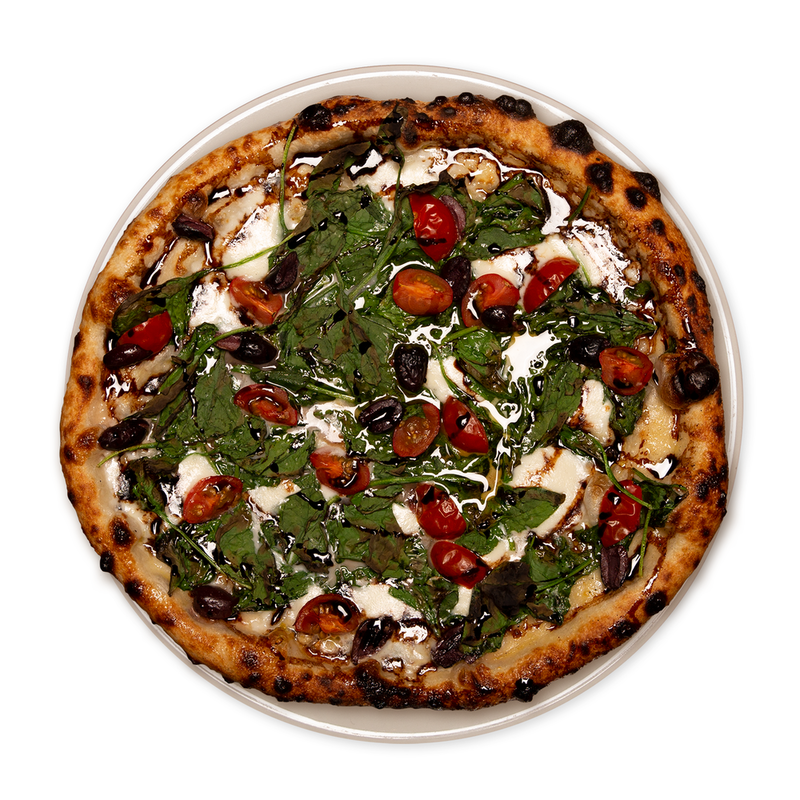 Roasted garlic oil, cherry tomato, kalamata olives, spinach, hand pulled mozzarella, balsamic glaze. Tomato sauce, Slow Hand pulled pork hand pulled mozzarella, banana peppers, topped with garlic aioli. Start with our house crust, tomato sauce, and hand-pulled mozzarella. Limit four items. Add sauces as a drizzle or a crust dippin' side. Lucette Woodfire Eatery opened in July 2015 and specializes in pizzas, calzones, and fresh salads using locally sourced ingredients. Toasted ciabatta topped with whipped feta, tomato medley, garlic, basil and olive oil. Finished with a drizzle of balsamic glaze. Creamy Peppercorn (N), Jalapeno Cilantro, Sherry Vinegar, Herbed Vinaigrette, Balsamic Vinegar, Extra Virgin Olive Oil V GF.